As the Cleveland Cavaliers scour the trade market ahead of the Feb. 7 deadline, bad contracts with draft picks attached should be the primary targets. However, because of an extremely unusual situation, the Cavs may have the chance to acquire a highly touted prospect at a steep discount. It’s a big risk, but one worth taking, as Cleveland cannot afford to pass up the possible reward. Injuries, miscommunication, and mental issues have completely derailed 2017 No. 1 overall pick Markelle Fultz’s career. In a class with players such as Jayson Tatum, Lonzo Ball, and Donovan Mitchell, Fultz was the consensus top prospect. In his only season at Washington, he displayed elite athleticism, court vision, burst, and scoring ability. All that talent in a 6-foot-5, 200-pound frame made scouts salivate. Fultz was to be the final piece of “The Process” that former GM Sam Hinkie had started when he was around. The trio of Fultz, Ben Simmons, and Joel Embiid was supposed to be the heir to the Eastern Conference. However, things have not gone as planned. Fultz suffered multiple injuries and setbacks concerning his shoulder, and his shooting form was changed and rebuilt multiple times. After appearing in 14 games during his rookie season, he has played in 19 this year, but he hasn’t participated in any basketball activities in eight weeks due to injury. It’s clear that Fultz is not right physically, but as his ever-changing jumper and free-throw form proves, he’s trying to work through a mental block as well. There are an endless amount of questions surrounding the situation in Philadelphia, and very few answers. Perhaps Fultz needs a change of scenery; a place where he can rehab both his body and his mind without the immense pressure of living up to his draft status and contributing to a championship contender. The Sixers do have incentive to move on from Fultz. He has (fairly or unfairly) already been labeled a bust, and the track record for first overall picks shedding that label is not good. The longer Fultz goes without playing, the more his already relatively low value drops. Philly could always hope that Fultz turns things around and becomes the player it thought it was getting, but what if that doesn’t happen? The Sixers will have wasted a roster spot, cap space, and the assets they would have received in return for Fultz. Cap space may be the biggest motivation for Philly to trade Fultz. Jimmy Butler will likely not exercise the player option on his contract for next season, meaning the Sixers are going to have to pay dearly in order to keep him. Fultz is owed $8.3 million this year, $9.7 million next season, has a team option for $12.3 million in 2020-2021, and his qualifying offer for 2021-2022 is nearly $16 million. That’s a lot of money to invest in a player who isn’t contributing, especially for a team in title contention. If the Sixers want to have enough cap space to max out Butler and still have money to either rebuild their bench or sign a star like Kawhi Leonard or Kevin Durant next summer, trading Fultz almost becomes a necessity. Even though trading Fultz would be a move focused on improving the team next season, the Sixers are still in position to make a deep playoff run this year. However, after trading Robert Covington and Dario Saric for Butler, their bench unit has been stretched thin. Especially on the wing, Philly is in need of players who can be effective without the ball and who are also capable defenders. The Cavs have two such players who fit that description: Alec Burks and Rodney Hood. Both players are on expiring contracts, so they would free up cap space for Philly. Burks is more consistent and a better defender, but Hood has the ability to take over a game from time to time. Both would play significant roles for the Sixers this season, and they would help fill the massive void left by Covington. Burks and Hood for Fultz, Justin Patton, and Furkan Korkmaz works in terms of matching salaries. Patton and Korkmaz are young players who will be free agents at the end of the year, but both have interesting skill sets the Cavs should strongly consider keeping around, especially Patton, who’s a 7-footer with a solid 3-point stroke. Even if Cleveland has to throw in a second-round pick or two, this trade is absolutely worth making. Fultz is a point guard like Collin Sexton, but he played shooting guard in college as well. 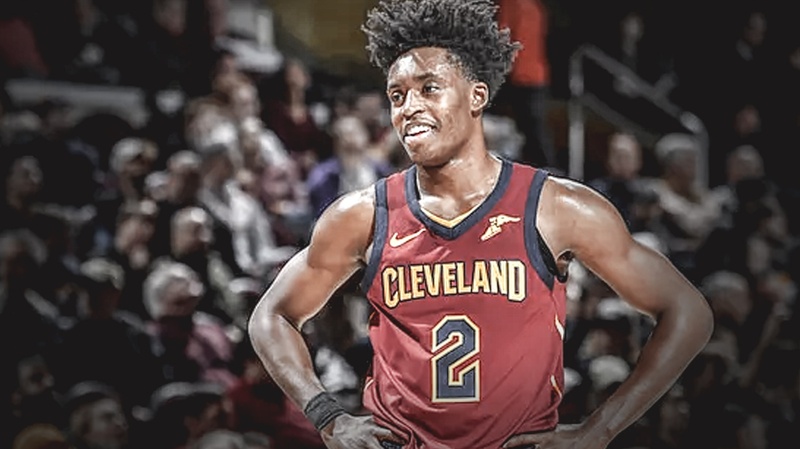 He is a better ball handler and passer than Sexton, and if he regains the shooting form he possessed in college, he is more than capable of succeeding at the 2-guard spot. Although the addition of Fultz may crowd the backcourt and take some minutes from Sexton, he is the superior prospect in nearly every way. Fultz is the prototype point guard for today’s NBA, and while Sexton may have potential, Fultz’s size advantage (three inches) makes him a better defender and finisher at the rim. Although they play the same primary positon, Fultz and Sexton can coexist. Even if they have to be rotated out so they can each be the floor general while the other sits, Fultz’s talent is too immense to pass on because of a possible fit issue. If the Cavs were to acquire Fultz, he should immediately be placed on injured reserve and not allowed to participate in any basketball-related activities until he is fully recovered. Cleveland should also convince Fultz to part with both his agent and his trainer, and replace them with people the organization trusts. The recency bias surrounding Fultz is strong. Because he has played so little and has not been healthy when he has played, people forget just how great of a prospect he was entering the league. If the Cavs have the chance to add him, they have to take the chance. If the risk pays off, Fultz could be one of the biggest steals of the decade. If he is healthy by next season, a core of Fultz, Sexton, Kevin Love, and Zion Williamson is promising. Trading for Markelle Fultz would give Cavs fans something they don’t have a lot of right now: Hope.